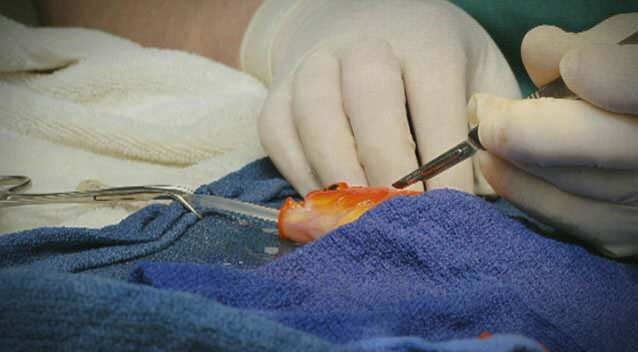 A life-threatening tumor was removed from a goldfish’s brain in a “high-risk” operation in Australia. George, whose owner lives in Melbourne, was put under general anaesthetic for the $200 procedure. Dr. Tristan Rich, who carried out the operation, told Melbourne’s 3AW radio station that the fish was now “up and about and swimming around”. Vets say the 10-year-old fish is now expected to live for another 20 years. “George had a quite large tumor on the top of his head that was growing slowly, and it was beginning to affect his quality of life,” Dr. Tristan Rich from the Lort Smith Animal Hospital said. George’s owner was given the choice between an operation or having the fish put to sleep. He added that the fish was kept alive by pumping oxygenated pond water through its gills. Dr. Tristan Rich described the 45-minute operation as “fiddly”.